The following are the nominations received for the S-Cubed Executive Board 2016/17. You may find digital copies of the nomination forms at the bottom. BSc Maths & Statistics and O.R. Before I entered University or even considered taking a Science course, S-Cubed was still one of the first organisation I had heard of. Seeing all those events on Facebook, I became curious to what it even actually was. Now, as a first year student, I already know how much this organisation is an asset to have. From being welcomed with open arms in the first days of Fresher’s week to attending both leisure and educational events throughout the year, S-Cubed have truly shown what it means to be there for all students. Having such an organisation gives you a different perspective of what it is to be a University student. Thus, when asked to be part of this team, I took the opportunity to be able to continue to build up on what the organisation has already achieved. I’m determined to give my all for the organisation for it to continue to grow and flourish, and allow it to remain in such a well-known and admired position within the University. Being an active student was always something I aspired to and serving as part of the past term’s executive board of S-Cubed gave me the satisfying feeling one awaits from an organization. Through S-Cubed I managed to strengthen both my communicational and logistical abilities; being trusted with projects and getting in contact with several individuals outside of the organization increased my interest of serving as a bridge between the students who wish for change and those who are able to make the change. This is why this year I am willing to further strive to make S-Cubed’s improvement even greater, building on what was done in previous years and making ideas, which till now are still in store, a reality. I promise that I will be there for each and every science student to listen and act with sensible decisions as their representative; this I will do if once again I am given the opportunity to be part of such team. Since before entering University, I had long wanted to be a part of a student organisation and after attending the S-Cubed Sub-Committee Workshop I became part of three Sub-Committees. Of these, my main work has been in the Education and Media Sub-Coms where I feel that my contribution was most relevant. I believe I can make significant contributions in areas related to media, particularly photography, editing and design. Being a part of S-Cubed in the last year has first and foremost encouraged me to push past my comfort zone and to feel more at ease while speaking to people I did not previously know. It has also aided me in making many new friends and motivated me to make use of my talents to other’s benefit. I believe that the organisation has three main tasks. The first and most important task is to improve the university experience for the students already in the faculty. The second is to raise awareness about the courses the faculty offers to the general public, focussing particularly on students attending Sixth Forms. And finally, to bridge the gap between a university degree and the working life. While I commend the current executive on their hard work, I feel that an important improvement would be to involve and integrate more people. It is my aim, should I be elected, to further promote the events organised, particularly those related to academia. I also wish to help tackle student apathy as I feel that extracurricular activities play a key part in one’s personal development and that being a part of something special makes one special. I look forward to working with the future executive and building upon all that the previous members have achieved. also helped me grow in various aspects on a personal level, and for this I am very grateful. Although being part of an organisation involves hard work and sacrifices, in the end, these are all worth it, especially when it results in fruitful opportunities and experiences for the students. For these reasons I am willing to submit my nomination to once again be part of the executive board of this organisation. I feel that I still have a lot to offer and I am ready to commit my time and energy to work for the benefit of the organisation and ultimately the students. bsc Mathematics & Statistics and O.R. For those who do not know me, my name is Luke Borg Barthet and I am presenting myself as a candidate for next year’s “S-Cubed’s” executive. I am currently studying B.S.C Maths & Statistics and I will hopefully graduate in 2019. What does “S-Cubed” mean to me? gave my contribution where necessary, especially when it came to event promotion and ticket selling. Now, I feel that I have reached a point where I would like to give a larger contribution to this organisation. What can I offer “S-Cubed”? As part of next year’s executive I would like to continue to develop the hard work that the team has done this past year. I would like to be there for next year’s fresher’s, especially for those within our faculty. I intend to continue organising workshops for students to visit workplaces and get a general idea of the working world. With three years of experience in organising and promoting events, I intend to organise many events all year round, the annual S-Cubed live in, as well as an educational trip abroad, together with the rest of the S-Cubed team to raise funds for the organisation and also to bring all BSC students closer together. I’m a third year student studying B.Sc. in Biology and Chemistry. I consider myself as a hard working individual who integrates well within a team. Since I was young, I participated in science events to create more scientific awareness to the public, such as events organised by the NSTF. Throughout my years studying at university I have kept actively involved in S-Cubed. 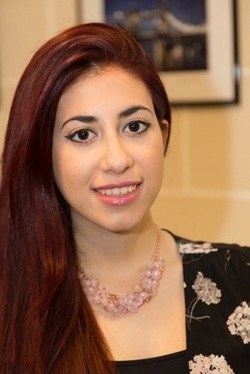 I participated in several events like Science and the City, public speaking workshops, the President’s Secret Garden, Fresher’s week both in Malta and in Gozo and several other leisure events. For a year during my studies I was also involved in the leisure S-Cubed sub-com. I have long been thinking to involve myself further in S-cubed and my final year at university could be a good opportunity. 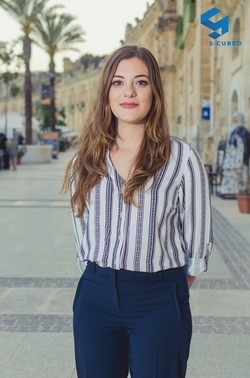 If I am given your support, I will make my utmost to represent the science students studying here at the University of Malta and dedicate my time to create more scientific awareness in the Maltese Islands. 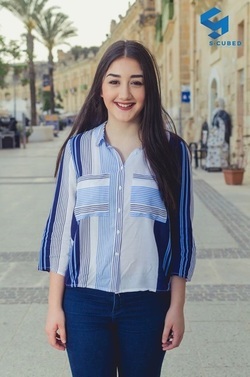 As a Gozitan nominated student, I feel I could add some more value to the organisation by bringing S-Cubed closer to Gozitan students and promoting science subjects in Gozo. 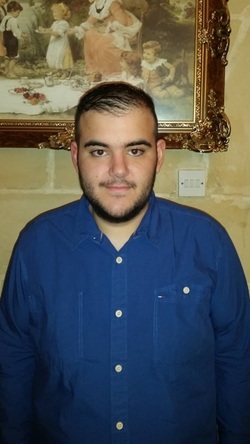 I envision S-Cubed to continue being in the front line to represent the students studying in the Faculty of Science and involving itself in more events to promote science both to the students at the University of Malta and to the general public. Throughout the past year I was given the opportunity to commit and work hard towards improving the student's University experience. The key motivating force for student activism, employability, will gradually render student participation futile if not accompanied by the will to bring about change, the desire to embrace diversity, the willingness to connect with people and strengthening their voice, the determination to represent all Science spheres effectively, and the commitment to be easily accessible. Such are the traits I seek to embolden if once again entrusted to serve on the S-Cubed Executive Board 16/17. I believe that being a BSc (Hons) Biology and Chemistry student, has aided in developing the skills required for such a position as it requires initiative and self-motivation. Being a drama teacher at Masquerade theatre arts school, has proved to be an experience which has enhanced my organisational skills and taught me to be spirited and perseverant in my endeavours. I am willing to further learn and work tirelessly to continue building on the sterling job this executive team and past members have done. I will strive for continuous improvement and promise to listen to and share ideas with an open mind, if once again entrusted to serve on the executive board. As a fresher, the concept of being part of such an important organization immediately caught my interest. Upon being introduced to the hard working executive board, during fresher’s week, I was immediately motivated and encouraged to join in. I had the opportunity to start this adventure during Notte Bianca. Moreover, throughout these past 2 semesters I was part of two subcommittees within the organization, Education and Social Policy, both for which I tried my best to work hard and contributed towards a number of publications. I strongly believe that S-Cubed plays an important role and is a key aspect, not only for students already reading a BSc degree, but it is also of fundamental importance that the organization reaches out to the general public in order to further promote Science. I believe it is also necessary to encourage secondary school/sixth form students, as well as the general public to acquaint with the role of BSc students, as future scientists. As a BSc Biology and Chemistry student, I believe that science communication should also be promoted further, especially in secondary schools and sixth forms in order to encourage students to consider opting for the courses offered by the science faculty. I would like to take the opportunity to thank the past exec members for their help, guidance and enthusiasm. I am willing to contribute further to this organization; through sharing of ideas and good communication and by working towards achieving my proposed projects, I strongly believe that the organization will continue to flourish further. I would be honored to be part of this ongoing growth and strengthening of the organization should I have the opportunity to be part of the executive board. Following last year's commitment as Leisure office for S-Cubed I took the decision that I could give more time, involvement and dedication to this organization to pay back for all the wonderful memories and experiences which I experienced throughout last year. My vision for this organization is to integrate more science students to be active; both for the benefit of the organization itself in gathering popularity and for the students themselves to feel more welcome and at ease during their time at university. I will also strive to work on changing the general feel among students that organizations only serve to organize leisure events. This I will maintain by dedicating more effort when it comes to organizing workshops and on the continuation of the considerable work done last year in the educational, social policy and science communication offices. Last but not least I hope that my experience will serve as back up in times of difficulty and critical in decision taking moments. Student activism has always been close to my heart, as I was the PRO of the Students’ Council of Margaret Mortimer Girls’ Junior Lyceum and while I was reading for a Bachelors Degree with Honours in Applied Food and Nutritional Science, I was also an active member of the Health subcommittee of Malta Health Students’ Organisation which is responsible for putting up events that promote a healthy lifestyle. I enjoy being a diligent member of such organisations, because I truly believe that these organisations do make a difference, and I want to make a difference. 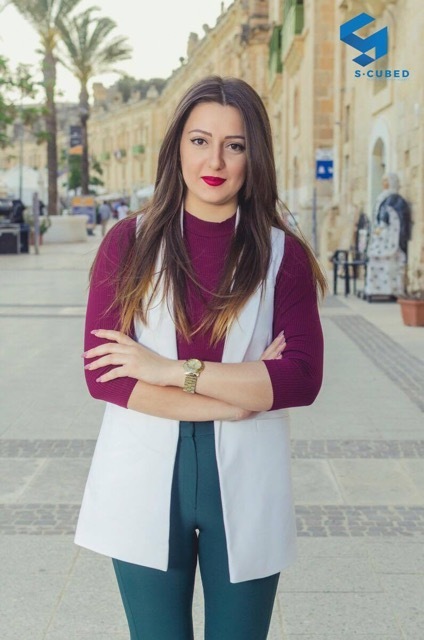 I am of the opinion that even though Malta in general has made great advancements in the science education sector, there is much more that can be done. The great majority of people do not even know that science degrees exist, and sadly, among them, are science students. When I tell people that I am reading for a degree in Chemistry and Biology, everyone tells me “Oh, so you want to become a doctor”, and I am tired of hearing this. I want science degrees and S-cubed to become part of the popular culture, and all of those who are reading for a degree in Science, to be recognised and treated as other professionals. Having said all the above, I have a clear vision for the organisation’s future, and I strongly believe that I will be a good addition to the Executive Board, to continue on building on the good foundation that our precursors have built so far. The following are the nomination forms which were presented. Each candidate was proposed and seconded by two science students, as required by the statute.